All classes are closed as of December 1st 2015. 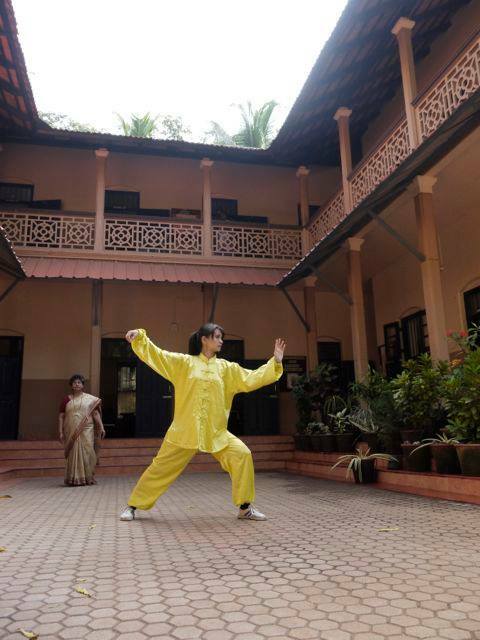 Haruka Ito would not teach Wushu anymore in India. Haruka Wushu/Tai Chi classes was founded in 2014 with an intention to propagate the Chinese traditional culture and promote Chinese Martial Arts so as to uplift the youth and invigorate the elderly, making them more involved in various activities. TAI CHI is not only the one supreme ultimate martial arts, also extremely famous and popular oriental-fitness exercise all over the world. Tai Chi is the slow move internal exercise for all, any age people can practice, it has huge health benefit and it’s great Asian Culture. The first Tai Chi Class of HARUKA WUSHU CULTURE INSTITUTE(HWCI) started from JANUARY 12th, 2014. This class is the one which is for practicing exhibition routine(Taolu). Girls and Ladies are the most welcome, because the majority of World Tai Chi society are the women. *Download the brochure from the below link. 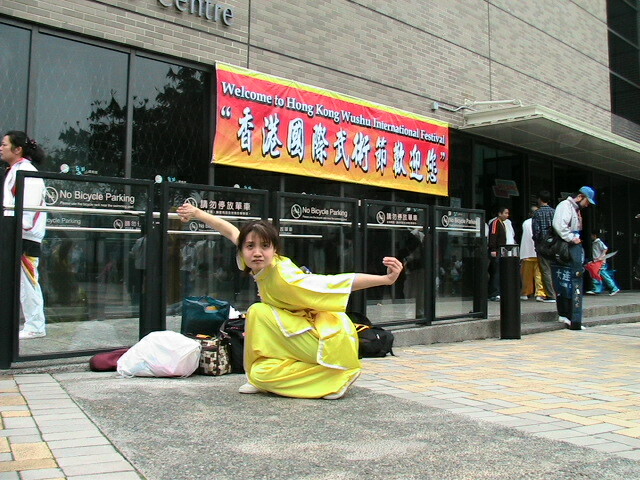 Gold Medalist at Hong Kong International Wushu Festival in 2005/2007-2009. Taolu Judge at The 8th Hong Kong International Wushu Festival(2010) and The 12th Karnataka State Wushu Championship(2013). *You can inform your available dates & timings by use of the below form. 1. HWCI(Haruka Wushu Culture Institute) never would like to provide any useless diploma, therefore HWCI don’t provide the diploma or certificate for non-qualified students and practicers. 2. Technical rules & complimentary regulations at HWCI compliant the rules & regulations of IWUF(International Wushu Federation), WFA(Wushu Federation of Asia) and CWA(Chinese Wushu Association), this means HWCI compliant the International Official Rules & Regulations.